From Sundance to True/False, influential film institutions are planning for a broader focus in the non-fiction storytelling they support. Over 400 documentary filmmakers, producers and executives “liked” Cogan’s message—including Oscar-nominated directors Barbara Kopple, Matt Heineman, Heidi Ewing, Amy Berg and Lucy Walker—and over 40 individuals added comments. But despite Cogan’s passionate and inspiring plea, the Facebook post also brought up some soul-searching within the documentary community: How do you make a difference if your work is only seen and discussed within the progressive “bubbles” of social media and urban centers? How do you avoid—as suggested by executives such as Jason Spingarn-Koff, Director of Original Documentary Programming at Netflix, and Molly Thompson, Senior VP at A&E IndieFilms—merely “preaching to the choir”? Several documentary producers, filmmakers and organizers appear to be shifting their energies to do just that. Some organizations already have programs in the works to reach that goal. “I’ve been on the phone nonstop talking to folks in urban and rural America, trying to figure out the best way to respond to the new post-election reality,” said Wendy Levy, Executive Director of The Alliance (formerly known as the National Alliance for Media Arts + Culture). “We must do the work of forging bonds based on respect and shared humanity—right now,” Levy continued. Towards that end, The Alliance is planning to add two new initiatives to its slate of programming for next year: “Down Home Story Revivals,” a community-based social event that combines music, food, a film screening, and a town-hall style Q&A session, and “Across The Tracks,” a joint urban-rural creative lab in partnership with Appalachian media center Appalshop and the California-based RYSE Youth Center, where 10 youth artists from each of the organizations will work independently and then together on group projects. In addition to the new pilot programs, The Alliance also intends to push forward on its HatchLab program, which similar to the “Across The Tracks” initiative, will pair storytellers from different sides of the political spectrum to come together and “find new ways for solidarity and collaboration, and use film and stories as a catalyst for conversation,” she said. While Levy had initially proposed cities like Philadelphia, Chicago and New Orleans as HatchLab sites, she’s now thinking the program should include “the rustbelt” and other places outside of left-leaning centers. But, of course, it’s more complex than that. “If we can get people more engaged in the making of documentaries and make them aware that they have stories to share, we can begin to get people more civically engaged,” said Walker. Other funders are also following suit. Last week, in response to the current political climate, The Fledgling Fund—supporters of social issue documentaries such as “The Square,” “The Bully Project,” and “Strong Island”—announced the launch of a Special Fund for Rapid Story Deployment, comprised of grants ranging from $2,500-$10,000 to support short films and other visual stories that can be completed and make an impact quickly. “Visual stories are more urgent than ever and we believe they need to be deployed quickly, in a range of formats, to help amplify the work of individual leaders, nonprofits and movements,” the organization wrote in an email. 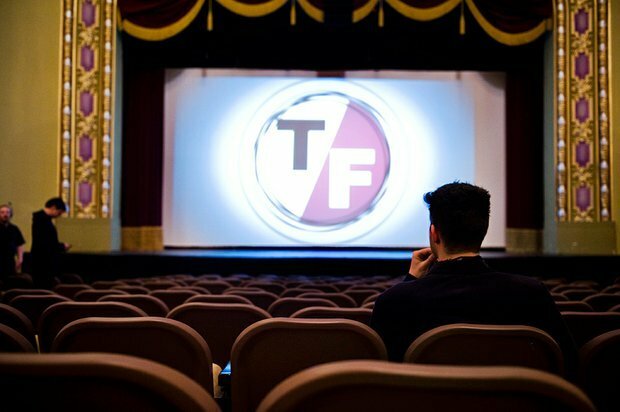 Other bigger U.S. film festivals are looking to follow True/False’s model for engagement beyond the bubble, seeking out Wilson to share his strategies and how they might play out in other American cities. But for six years, the Sundance Institute already had a program devoted to outreach and exhibition. Called Film Forward, the initiative brought various Sundance films to cities and countries for screenings and discussions. “We found it to be a powerful idea,” said Putnam. But she also acknowledged its limits. “It’s fair to say that we may not have met the challenge of finding a new audience,” she admitted. Taking place in urban centers (for example, 2016 screenings included Hilary Clinton strongholds in typically conservative states such as Denver, Colorado; Omaha, Nebraska; and Atlanta, Georgia), Putnam said they were effectively reaching young and artistic minded people outside of the coasts. “But were we really reaching into other communities?” she asked. With Film Forward ending, the Institute is now emphasizing its Ignite program, which is aimed specifically at engaging with millennials ages 18-24 by giving them the chance to see films at Sundance; to participate in a development workshop for aspiring filmmakers; and take part in a touring showcase, which combines exhibition and discussion. A focus on the younger generation is also one of the key components of Appalshop, the nearly 50-year-old media organization based in Whitesburg, Kentucky (situated in a county where 80% of the people voted for Trump.) Kate Fowler, the new director of the Appalachian Media Institute, said they’re concentrating on “putting cameras into the hands of members of the community” with a drop-in media center for youths, weekly and summer workshops, such as The Alliance-supported “Across the Tracks” program, and other ongoing community arts projects. The trouble facing Appalshop and other media centers, however, is that federal and state funding for the arts is likely going to be cut or rerouted. The newly organized Kentucky Arts Council, for example, is focusing less on fostering artistic and cultural production and more on education, workforce and economic development. But Fowler is staying optimistic. “We see our path forward through partnerships, mutual investment and collaboration with our partnering organization in order to address the rural-urban divide that became so clear during the recent election,” she said. With Trump’s first days in office looming, there is a sense of urgency for Firelight and other documentary filmmakers and groups.